Camp Redstart Pangong, Leh features lake facing view, spacious tents offering a unique experience to the guests. 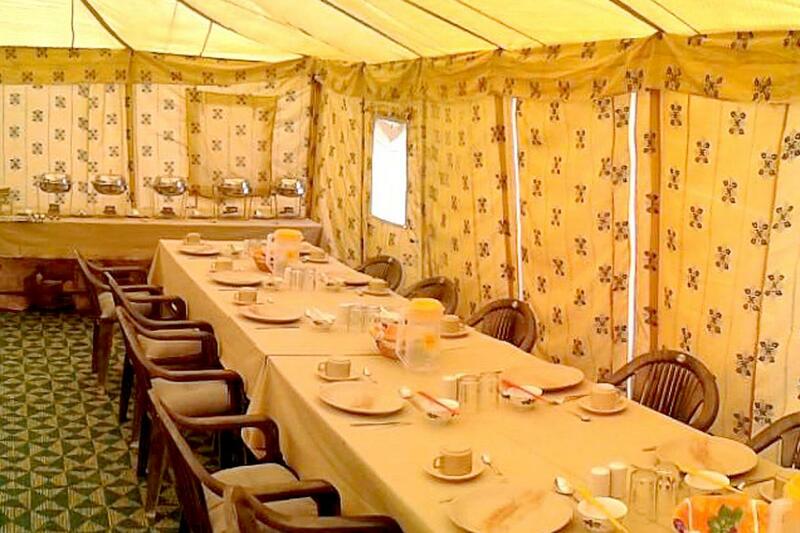 This camp is a perfect destination for those who want to explore Leh in its truest sense. Guests can enjoy panoramic view of Pangong lake and mountains from Camp Redstart. Travel Counter, Room Service, Parking, Laundry Facilities, Internet/Wi-Fi, Family/Child Friendly, Backup Generator, Porter Service Available, Complimentary Newspapers in Lobby, Taxi Service. Television Room, Complimentary Newspaper, Bottled Water in Room, Luggage Rack, Internet Access, Dustbins, Attached Bathroom, Shower Caps, Cable/Satellite TV, Ceiling Fan. User reviews for "Redstart Camp Leh"